Bill Shorten’s high-taxing manifesto has come under attack over concerns that Labor will deny ­investment opportunities for struggling parents and impose tough new penalties on small business owners over their tax affairs, as the election fight erupts into a battle over the hip pockets of working Australians. The first official day of the election campaign centred on the competing tax agendas of the major parties, with real estate agents, accountants and business groups hitting back over Labor’s policies, which the Opposition Leader claims are aimed at the top end of town. 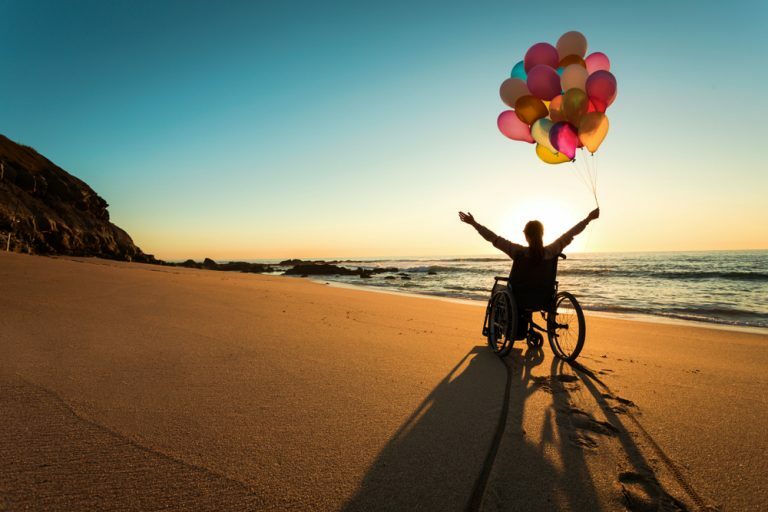 The new Government should focus on social cohesion, economic equality and creating more inclusive communities, says NSW’s peak social services body, the NSW Council of Social Service (NCOSS). Congratulating the Berejiklian Government on their re-election, NCOSS says the people of NSW have given them an opportunity to work with the social services sector and disadvantaged communities to build a fairer, more cohesive state. Balgowlah's Asha Boswarva will grace audiences tonight as the loveable Shirley Hasting for the opening night of Redlands' Strictly Ballroom musical adaptation. After five months of intensive rehearsals for up to 16 hours per week since October last year, more than 120 students from years seven to 12 will bring to audiences a musical adaptation of Baz Luhrmann’s 1992 iconic award-winning film at The Concourse in Chatswood. THE opening night of Redlands' musical production of Strictly Ballroom has arrived. The Manly Daily caught up with female lead performer Clontarf’s Rebecca Burchett, who hopes to deliver the performance of a lifetime-so-far after five months of intensive rehearsals. Building delays may be a regular occurrence over the next five years if the surveyor shortage facing much of the country does not improve. NSW and Victorian construction markets are the worst affected, with the overall difference between labour demand and the existing workforce peaking in 2019. The wheels are turning in support of a cause close to many hearts this month. These cyclists are part of the Sydney 2 CAMberra event, which raises money to Stillbirth Foundation and Red Nose Australia (formerly SIDS and Kids). The Family Law actor Trystan Go will take the lead in the St Andrew’s Cathedral School musical, Fiddler on the Roof from April 4-6. The rising Coogee star has also only recently wrapped up filming for sci-fi feature film Occupation Rainfall, the highly anticipated follow-up to the Australian-produced sci-fi blockbuster Occupation, alongside Daniel Gillies (The Vampire Diaries, The Originals) and US actor Ken Jeong. Governments may have to step in to bridge a combustible cladding-related insurance gap that is widening in the wake of the Lacrosse judgment. Insurers last year started raising premiums and inserting cladding-related policy exclusions for professionals such as building surveyors and certifiers, but last month's judgment finding building surveyor Gardner Group, fire engineer Thomas Nicolas and architect Elenberg Fraser liable for the use of combustible non-compliant cladding on the Lacrosse residential tower in Melbourne, has accelerated the process. Two talented students from St George and Sutherland Shire are preparing to take centre-stage in NIDA's production of Fiddler on the Roof in April this year. The St Andrew's Cathedral school musical will feature Sutherland Shire teenagers and students of St Andrew's, Lara Winsbury and Olivia Vouris, who will perform in the production at NIDA's Parade Theatre at Kensington. Australia’s economic growth ground to a near standstill in the second half of last year and the economy is now experiencing a per capita recession, igniting fears the 27-year stretch of uninterrupted expansion is coming to an end. As troubling as the GDP numbers are, Australia has been experiencing a period of wage stagnation since the global financial crisis, similar to that which has vexed the US economy since 2001, characterised by a decoupling of wages and productivity growth. 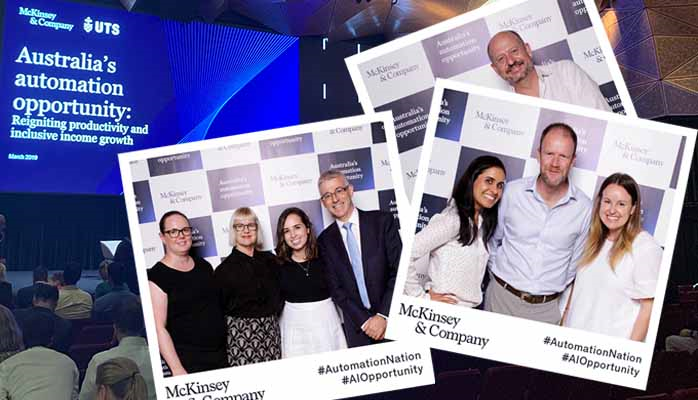 Australian Public Affairs partnered with McKinsey & Company for the media and event launch of their major research report, Australia’s automation opportunity. This is the Australian Public Affairs team at the event, which brought together government, industry and educational leaders to kick-start a national discussion about Australia’s response to the automation age.